A surefire way to throw your household into a panic is to have your furnace break down in the dead of winter — especially on a holiday or weekend. The prospect of no heat in subzero weather is frightening and so are the issues that come with it. And even after following all of the common furnace troubleshooting steps, it can be really tempting to repair your furnace yourself when faced with a potentially expensive emergency repair bill. While there is some basic furnace maintenance, like changing filters, you can handle yourself, make sure you consider the following before getting in too deep. If your furnace doesn’t seem to be working quite right, don’t panic. You might just be dealing with a small hiccup that’s easily remedied. Make sure the heat setting on your thermostat is actually on. You’d be surprised how often this can be overlooked. Check the temperature.Look to see if the temperature is set higher than the current indoor temp of your home. Make sure your furnace is getting power. Turn your thermostat’s fan on. If nothing happens, reset the breakers on the electrical panel. Check your vents. Make sure no furniture is blocking vents, and the registers are open and pushing out air. Take a peek at your air filter. A dirty furnace air filtercan cause poor air flow. It should be changed about once a month during the winter because it gets clogged fast when there’s high usage. Check your pilot light. Your burner flame should be burning evenly and blue. If the flame is yellow, that could be a sign of dirty burners or carbon monoxide. If you’re concerned about carbon monoxide, call a professional to take a look. Vacuum the burners. Turn off your furnace system and the gas supply. Vacuum any dust in or near the burners, blower compartment or furnace base. Clean the blower blades.Use a vacuum and small brush, but be careful not to disturb the counterweights or wiring. Clean the flame sensor.Use a fine emery cloth, which is made to clean metal surfaces. Dust the pilot and hot surface igniter.Without touching these pieces, blow through a drinking straw to blast dirt and dust out. Get more recommendations with our DIY furnace maintenance tips. Use of certain brands or parts. Following specific guidelines and correct industry practices. Technicians are licensed, bonded, and insured. If you don’t have your warranty handy, call the manufacturer to find out more about your plan. In the process of making a repair, it’s entirely possible to break something that would cost far more than hiring a professional in the first place. DIY furnace repairs can be deadly if you don’t know what you’re doing. You risk carbon monoxide poisoning, electrocution, or even an explosion. When many homeowners experience loud HVAC noises, constant cycling, and poor airflow from their furnace, it usually means a simple repair won’t do the job and that it’s time to call in a professional. In addition, it may even be a sign that your furnace needs to be replaced. Hopefully, you make it through the winter without incident. But if you run into issues and need some advice or help, we’re here to help. 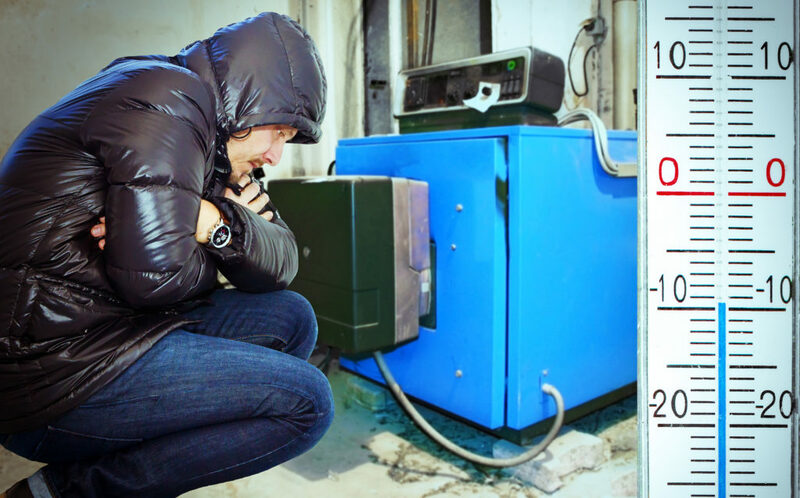 We offer 24/7 emergency furnace repair during Minnesota’s winter months, so connect with us online or give us a call at 612-825-6867.